Gingerbread men are a Christmas must have! These one have a nice buttery cookie base and all of the spices are likely to already be in your spice cabinet. They will make converts of those who don't think they like these spicy little fellas! Let me tell you the story about how two paths converged to make these cookies. First, when I was searching for cookie cutters to make the cinnamon brown sugar cookies for Ro's baby shower I found a goat cookie cutter in MiMi's cutters. My father-in-law loves gingerbread cookies and he has recently become a goat farmer, so I just knew I had to make him gingerbread goats! On the other hand, we were at my aunt and uncle's for dinner the other night when my cousin Emily came home for Christmas break. She said she wanted to bake some gingerbread cookies as she loved them and it was Christmas. We left that night with a plan to bake cookies together while she was home from school. Sometimes things are just meant to be! Little did I know the next morning I would wake up in a cookie baking mood. So I gave her a call and went to making the dough! MiMi came to help bake cookies too. We had a great time baking gingerbread and sugar cookies together and ended up with a lot of sweet creations. They both came back the next day to help decorate them with royal frosting. It was so much fun to bake and decorate with them! I started using this recipe after a massive gingerbread cookie recipe search last year. I went through what seemed like hundreds of recipes before I settled on making this one. I liked that it is a butter recipe. I don't cook with shortening. I don't mind if you do, I just tend not to as it is my preference to use butter. It also didn't cause for any exotic ingredients I would only use once. I was very happy with the way the cookies turned out. I am sure you will be too. They are the perfect combination of spice and sweet. They are sturdy but have a nice soft chew. Even people who didn't think they liked gingerbread loved these cookies and went back for more! Mix together the flour, baking soda, salt and spices. In your mixer bowl, cream together the butter and sugar. Add the molasses, egg and vanilla. Beat until uniform. Add in flour about 1/3 at a time, stirring until just combined between additions. Once dough comes together, wrap tightly in plastic wrap and refrigerate for 4 hours. Working with about 1/3 of the dough at a time, roll on a floured surface to about 1/8" thick. Cut into desired shapes and place on cookies sheet. Bake for about 8 minutes. Let cool on cookie sheets for a couple of minutes, then remove to cooling racks to cool completely. Use royal icing to decorate and enjoy! 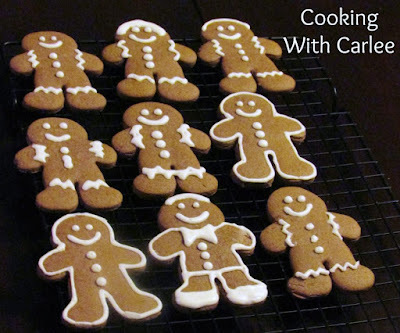 Thanks for sharing this recipe to make gingerbread cookies. Wow it looks like you all had so much fun making the cookies. I hope you have a wonderful weekend. We really did! We ended the weekend with 4 kinds of roll-out cookies and some peanut brittle. We had a blast doing it too! My preference is butter as well! The sound Amazing with the molasses, more importantly they look so adorable and I just know as wonderful a baker as you are, they taste as good as they look! I haven't had gingerbread for decades. I will have to try these. They are really easy to make and so much fun! I hope you love them! I have never made ginger bread cookies. Can you believe that, Carlee?? lol I saved this recipe and I'm going for it. I hope you, Mimi, and your family have a wonderful Christmas. Oh my goodness, Rue, you have to give them a try! They smell so good while they are baking. I hope you all have a wonderful Christmas as well! 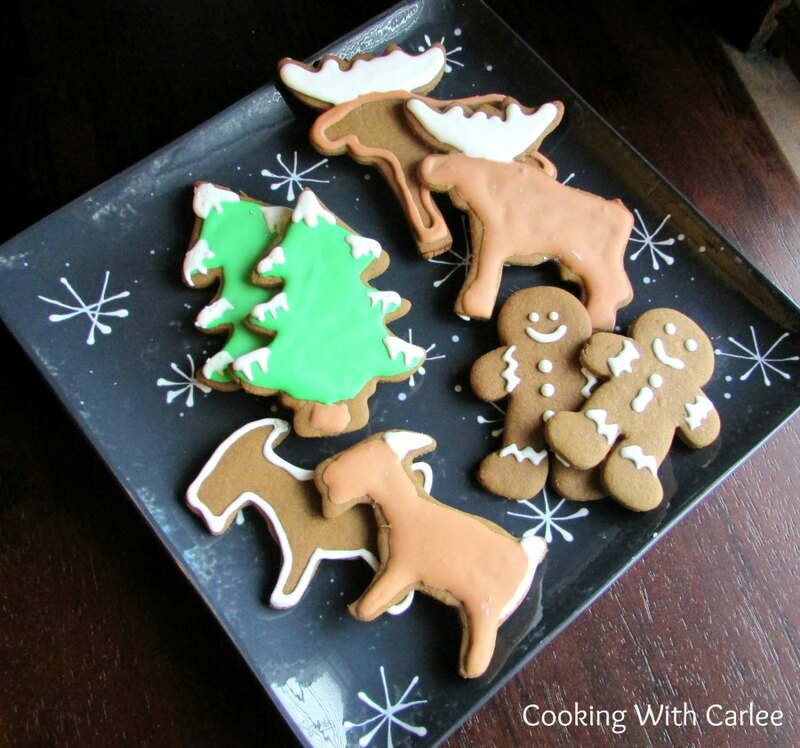 Almost as good as these gingerbread cookies must be the fun you had with your cousin. How good to give your father-in-law a goat shaped ginger cookie. We had a great time! Thanks for hosting! Sounds like such a great time! And the cookies last delicious! We did have a lot of fun! 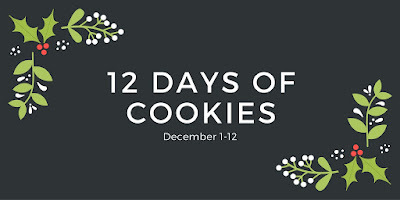 It was a two day cookie marathon and I think we were all very happy with the results. They have certainly made the resulting cookie trays tasty and cute! Thank you so much Sue. You are so sweet. I hope yours is wonderful as well. I love the goat cutter. Too funny for your father-in-law! Your cookies being decorated look adorable. You know, I don't think I have ever had a cookie decorating party. I think I need to have one. I also don't use shortening. It freaks me out, completely. Thank you for this recipe!! I'll add it to my growing pins of gingerbread cookies (my fave)! These sound so tasty and look so pretty! Thank you! I didn't grow up having gingerbread cookies, but now they are a Christmas must have! 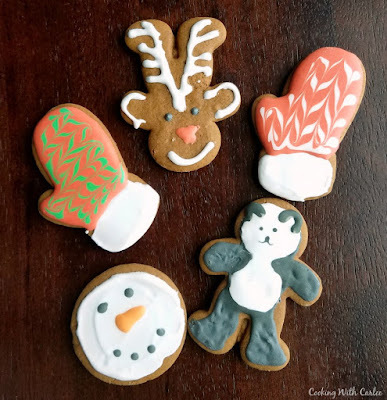 My kids and I made gingerbread cookies this holiday season as well, your recipe sounds like a good one and I really love that you made goat shapes! Thanks for sharing at What'd You Do This Weekend? Hope you and your family had a very Merry Christmas! Thanks Joy! Did you post any of your gingerbread cookies? I'd love to see some pictures! We had a great Christmas, I hope you and your family did too! Great recipe and sounds like a great family time! Thanks for sharing at Funtastic Friday, Carlee! We had a blast and the cookies were delicious! Thank you! Hi Carlee, I don't know how you do it! There must be a constant bakefest going on in your house. These gingerbread cookies do sound good! And I'm sure your Father-In-Law loved the giant cookies (there is no reason why gingerbread men (and women can't keep little gingerbread goats, as long as they look after them). I am actually quite excited as my husband is building more cupboards in my kitchen which is going to double the amount of work surface I have. Perfect for baking! There is always a dusting of flour and sugar on the counter, that is for sure! And the gingerbread boys and girls need to get their goats' milk from somewhere, right?! That will be awesome, there is never quite enough counter space! very pretty! Gingerbread is a favorite of mine! yummo! 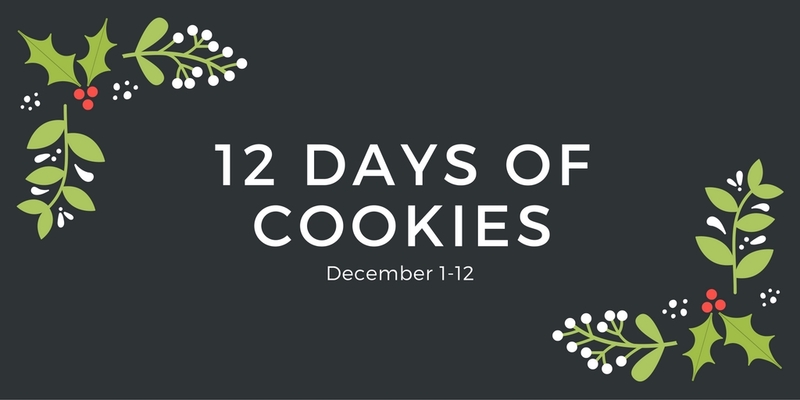 Thanks for linking up at Celebrate 365 Cookie Exchange! Thank you! We have already baked up a batch this year too!